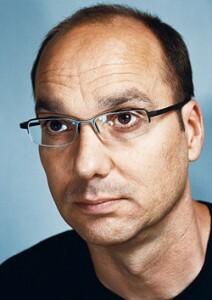 Andy Rubin: Android Updates Will "Probably end up Being Once a Year"
Google VP Andy Rubin recently spent some time speaking with the Silicon Valley Mercury News where he shared a few details about the future of the mobile platform. Rubin acknowledged the rapid maturity of Android and how it has kept developers and OEMs up at night. After what seems like a new release every few months, he expects to see Android updates slow down to once a year. Not terribly groundbreaking news as we’ve pretty much expected that around here. Still, it’s nice to see Google put this out there for handset makers and carriers to look forward to. …Our product cycle is now, basically twice a year, and it will probably end up being once a year when things start settling down, because a platform that’s moving — it’s hard for developers to keep up. I want developers to basically leverage the innovation. I don’t want developers to have to predict the innovation. The obvious comparison here is the iPhone with their annual rollout of OS updates. Fortunately for us, Google and pals release more than one form factor per year. Innovations in processors, screens, and all around awesomeness do not have to wait. Handset manufacturers are free to push out new phones whenever they see fit. The best part of this is that it addresses and possibly eliminates the biggest gripe about Android – fragmentation legacy devices. How great will it be when nearly every phone on the market has the same build and everyone has access to the same apps? So where will we see Android headed next? Cars. …We’re at about 4 billion cell phones. About 1.4 billion Internet connected PCs — that includes desktop and laptops and everything else. Like 1.2 billion automobiles. Some 800 million TVs. And it’s like, “OK, let’s target the top four.” Let’s do everything we can to get the big ones. Remember, our business is volume, because it’s an advertising business and we want to delight a lot of people. And how do you delight a lot of people? You get in the products that they use every day.